Grew Up… on the planet Krypton, where Zod’s tactical and martial skill allowed him to climb the ranks of the Kryptonian military. Unfortunately, Zod’s time as a general was cut short when Kryptonian’s core collapsed on itself. Right before the planet ceased to exist, Zod attempted a coup d’etat, which failed and led to his banishment to the Phantom Zone. Living… as a free man. Zod managed to escape from the Phantom Zone – an alternate dimension of shadow and nothingness where the worst of Krypton’s criminals were condemned to spend eternity. Krypton’s destruction and the subsequent failure of the technology that kept him in the Phantom Zone allowed General Zod to escape. Zod is now living onboard the remnants of the Kryptonian fleet, looking for traces of Kryptonian society across the galaxy. Profession… former Kryptonian General. Zod was stripped of his rank after he tried to overthrow the Kryptonian council, but retains the loyalty of insurrectionist soldiers who were banished to the Phantom Zone with him. Apart from Kal-El, they are the last Kryptonians in the universe, and spend their days searching for a way to resurrect their destroyed home world and species. Relationship status… single. In the last days of Kryptonian society, children were artificially breed and considered natural birth “a heresy.” Romance had disappeared as a concept – not that the fanatical Zod would have been interested in love anyway. Challenge… finding a way to resurrect his destroyed species. After escaping the Phantom Zone, General Zod discovers that Kal-El’s cells were infused with a genetic codex of the Kryptonian species, making him the key to engineering new Kryptonians. 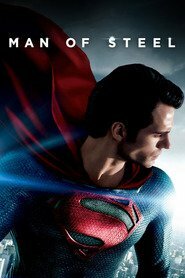 Zod is determined to extract the genetic information from Kal-El, turn Earth into a suitable habitat for Kryptonians, and resurrect Krypton’s fallen civilization. Of course, such a transformation would destroy humanity. 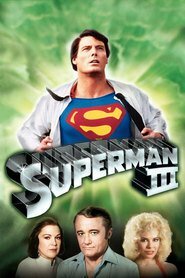 Zod is more than willing to massacre the inhabitants of Earth, but first has to deal with their Kryptonian protector: Kal-El. Personality… arrogant, cold, and determined. Zod believes that Kryptonians are the galaxy’s greatest species, and that he is the best Kryptonian. This superiority complex curbs his empathy, and contributes to his ruthless attitude. While his methods are extreme, he firmly believes that they are justified. Zod is a professional soldier, and it shows in his temperament – he finds great satisfaction in any kind of victory, regardless of whether or not it was won through violent means. Zod's popularity ranking on CharacTour is #2380 out of 5,000+ characters. See our top-ranked characters and read their profiles.